This shot uses two very obvious techniques; the first one being the rule of thirds and the second being foreground and background. This rule of thirds is effective here because it allows there to be a subject in the foreground in focus and another subject in the background who is out of focus. This creates a very effective shot because we are immediately drawn to the glasses and the eye which are in focus and then drawn to the other subject who is out of focus. The aperture on this shot was put to F/5.6 and this resulted in a shallow depth of field blurring the background of the shot, focusing the audiences attention straight to the eye and the glasses. During the editing process for this shot, I kept the exposure, contrast, saturation, temperature, definition, highlights, shadows, sharpness and de-noise all on their default settings but I enabled the effect ‘antique’ and increased this to x4 and also enabled ‘edge blur’ and increased this to x7. 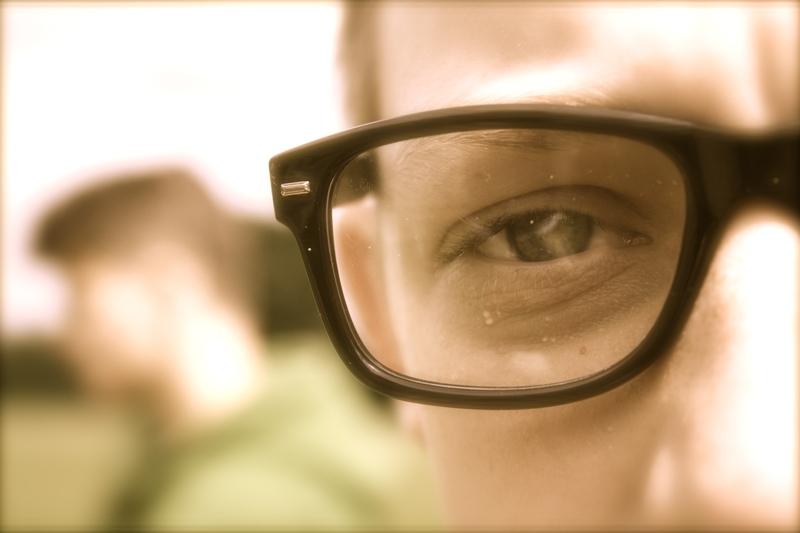 Enabling these effects created a much larger focus on the glasses and eye and made the subject on the left more out of focus. Very good analysis. Don’t forget to concentrate your analysis on aperture and shutter speed as well as they are very important.